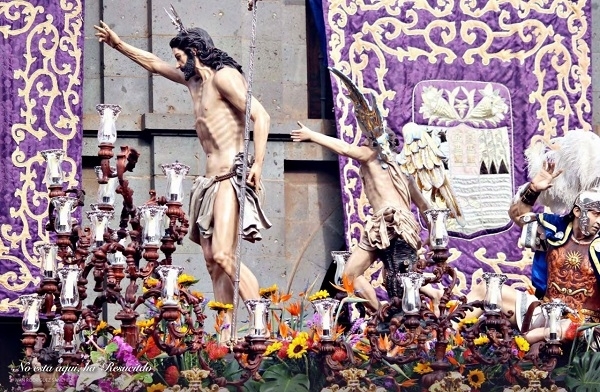 The City of La Laguna dresses up to host all the people who come to the city to celebrate Easter, during which the passion, death and resurrection of Jesus is remembered, a celebration that concentrates the devotion and dedication of hundreds of its faithful; a celebration where the monuments dedicated to the Holy Sacrament elaborated with elements of silverware in different parishes on Holy Thursday are also significant. Easter week in San Cristóbal de La Laguna is an expression of the deep religious life in the diocesan city and an example of its rich cultural life. On these days, visitors can observe different processions by the brotherhoods through the historic city centre. Outstanding is the emotional procession of the Dawn of the Most Holy Christ, on Good Friday, culminating this day with the Magna procession and the procession of the Silence of the deceased Christ. There are few places in the archipelago where this festival is celebrated with such intensity and fervour. For 200 years, the city, declared a UNESCO World Heritage Site, has been the bishop's seat. The festivities begin around Palm Sunday. Concert by the Tenerife Baroque Orchestra in the cathedral at 8pm. Eucharistic celebration in the parish church of Nuestra Señora de la Concepción at 6.30pm and in the church of Nuestra Señora de la Paz y Unión (La Cuesta de Arguijón) at 8pm. Activities and processions from 10am to 1pm around the Plaza de los Remedios at the Cathedral. Consecration of the palm branches in the Casa Mesa at 10am followed by a procession to the cathedral. At 11am, a Eucharistic celebration followed by a procession. A further Eucharistic celebration followed by a procession at 6pm in the Nuestra Señora de la Concepción church. Produced with news.CMS in 0,0743 seconds.